Compared to the industry standard of 208 containers per truckload, our customers cut freight costs by 12.5%. Our innovatively designed container base has a flat deck and provides more usable internal cube than comparable containers. 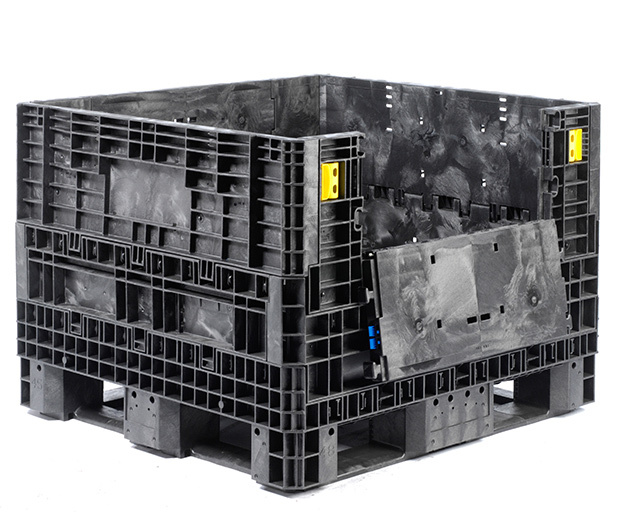 Bulk Containers also provides stability with our periphery runner design, eliminating the need for a center foot which can damage product in the container below. No other bulk shipping container in the industry combines as many benefits, making Bulk Containers ideal for multiple applications in industries such as Automotive, Appliance, Agriculture, Consumer Goods, Pharmaceutical, Aerospace, and Electronics. Large ID tag on base center foot on 48" side = 9.0 x 3.3"
Integrated door hinges using injection molded push pins for easy replacementider access door openings than comparable boxes on the market. 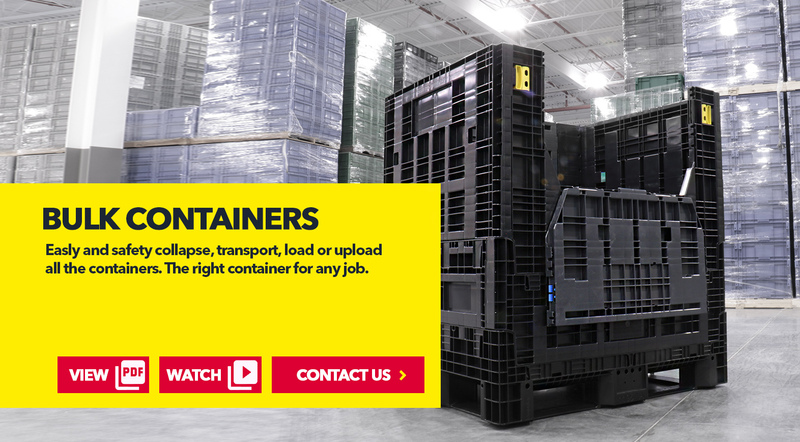 Watch SSI SCHAEFER Bulk Containers in action! 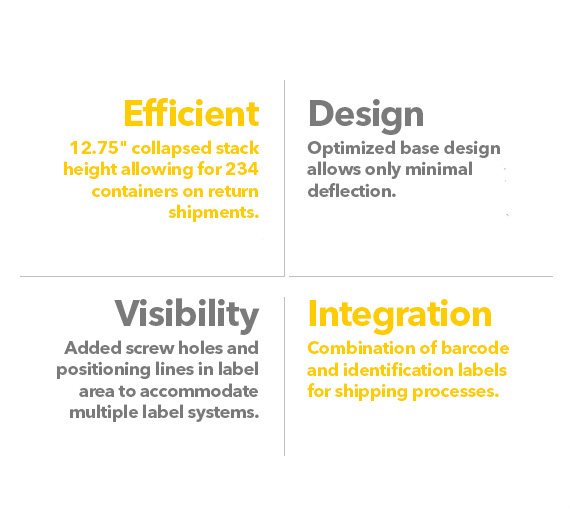 Overview of all the capabilities of our plastic container manufacturing, product line, and custom dunnage solutions. 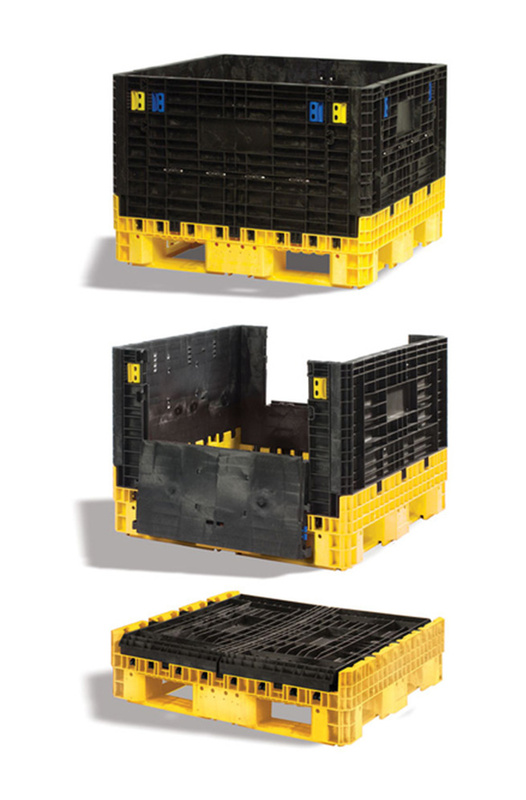 We develop innovative products and made-to-measure solutions that provide our customers with the efficient organization of their goods for storage and transport. 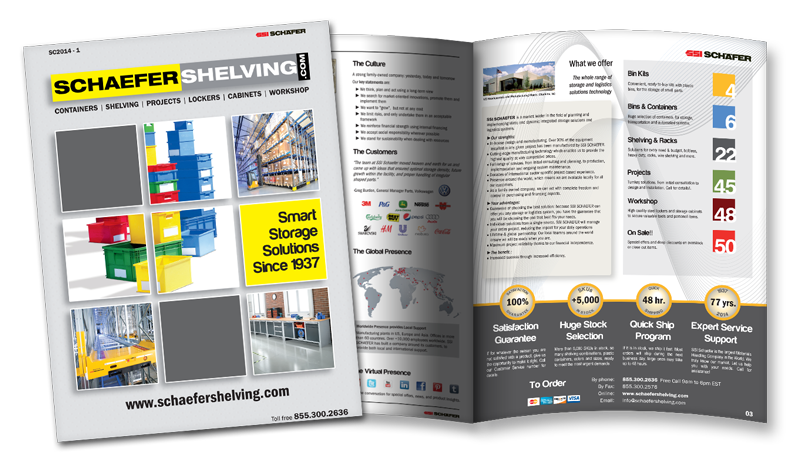 Our range assures our customers of short, direct routes to products and solutions.